I’ve been thinking about thinking. 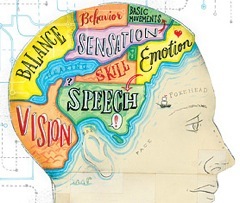 Some of us are smarter, some less so, but we are also different in how we think, process, and perceive. I decided to make a list (complete with labels) of some of the ways people organize the space between their ears. This list is open to revision–and the understanding that most of us have traits from several of the mind-types listed below. This list is not hierarchical. My particular brain would not be up to the job (you’ll see why when you read the description of my own thought process). Even the act of making a list is uncharacteristic for a brain such as mine–but I’ll give it a shot. 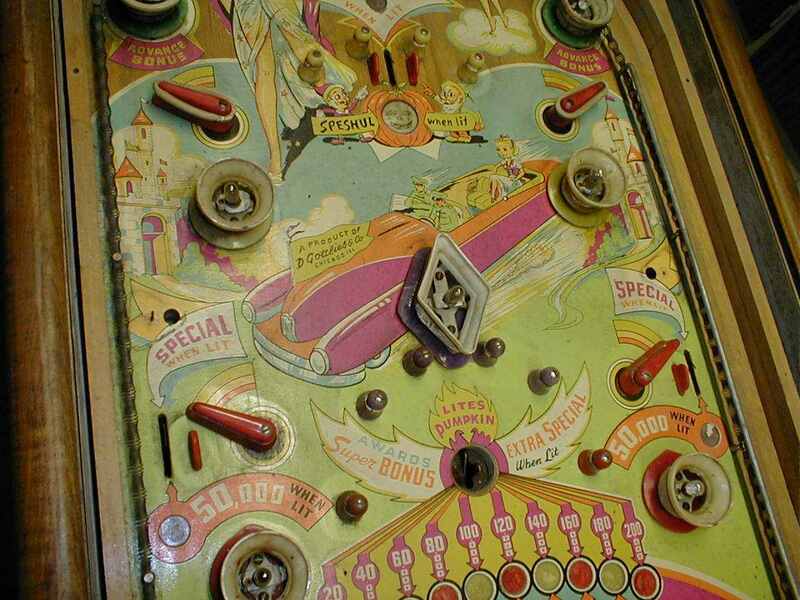 Pinball machine: I pull the shooter back as far as I can and let go. With a wham, wham, the ball ricochets. Sometimes I try to guide it with less-than-efficient flippers. Sometimes I prefer to let it fly and see what happens. That is my random, creative brain at work. I launch a thought and it bounces and bumps into disparate things suggesting new associations, new ideas. Like the pinball-mind comparison, my thought processes are built on metaphors. I understand the world and create new meanings by comparing the dissimilar and finding common ground. File cabinet: This orderly mind stores like with like, building knowledge through accrual. It makes lists. It imposes order. I realized, studying a foreign language with my daughter, that her brain was filling neatly labeled drawers with conjugated verbs. Lacking drawers and labels, my verbs lay scattered, free-associating with nouns and adjectives. Her system worked better. Wrench: Wrench minds are masterful manipulators of the physical world. They can take it apart. They can put it back together. Less comfortable in the areas of emotion and abstraction, the wrench mind is fearless in the face of a new technology, figuring it out with relish, as if playing a game. Barnacle: Like a barnacle, some minds need to attach to something external and rigid, a belief system such as a religion, political affiliation, or prejudice. The barnacle mind is riveted in place by conviction. Cat: Like a cat sleeping in the one patch of sunlight on the rug, some minds exist to serve the body, seeking out the least-resistant path to physical comfort and pleasure. Incurious, when not seeking pleasure this mind yawns and goes back to sleep. Curious George: This brain is constantly asking questions, exploring. My husband, Ray, is a prime example. A serial learner, he masters concepts and skills, and then moves on to the next thing that catches his interest. It is the figuring-out and question-answering that drive his mind. 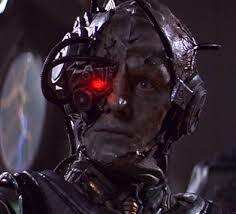 Borg: If you are a Star Trek fan you remember the humorless Borg Collective, a single mind in many bodies. All Borg thoughts, aspirations, and decisions were experienced as one. Among humans, some minds find flying solo lonely and decision-making scary. These minds would rather poll other minds when making decisions or forming opinions. The crowd-sourced brain is now a genuine option. With our modern connectivity we may be on our way to becoming the Borg (if the Borg had a soft spot for cute puppy videos). As the Borg like to say, “Resistance is futile.” I am resisting anyway. Analyst: The mind sits in its bony tower and considers things coolly and rationally. Detachment trumps emotion. Drama Queen: The mind is profoundly affected by the surge of adrenaline, the sweaty palms, the dopiness of dopamine. This mind is a passenger on a roller coaster ride of hunches, crushes, and thrills. For this mind feeling trumps logic. When it is mind vs gut, gut wins. The Big I: Some minds are so dominated by ego it is the lens through which everything is viewed. This mind subjects every problem, situation, individual to the question, how does this pertain to/benefit/serve me? Such minds also construct rigid hierarchies of worth based on how the thing being judged helps or hinders the all-powerful self. The Little i: Some few, rare minds have such a modest sense of self that a hierarchy of comparison and patronage does not exist. Preservation and advancement of self gives way to the good of others. Most of us have a touch of this, but no more. Closed Curtains: This mind seeks the Truth through detachment from others and the physical world, seeking what exists when the ephemeral is taken away. No Curtains: This mind finds its larger truth by interacting with the temporary and fleeting like the clouds of this moment, the first snow, the song coming out the window of a passing car. For this mind, truth inhabits everything. Momentum spent, the steel-ball of an idea launched at the beginning of this post has come to rest. Please consult your own three-pound interpreter of all-that-is and ask it to leave me a note below. I can see that some of my biases are showing–like my fear of hyper-connectivity. Feel free to speak up for the brain you have; feel free to straighten me out. § 10 Responses to The space between your ears. the brain i have seems to be a free agent, rarely agreeing to any control on my part. it is raucous, noisy, reckless, ego-driven in an alarmingly adolescent fashion. I have to ask it to shut the f*&k up every morning in meditation just to clear the deck for a new day. sometimes it complies and sometimes it gives me the metaphorical finger. alas we are blessed or cursed with consciousness. So, perhaps although you appear to be a file-cabinet kind of guy (list master of the universe that you are) this is just your mind masquerading as mature and responsible, or doing the best it can to impose order on chaos. I think I’d like to further clarify the Analyst mind. It depends on the facts it gets to make a decision. It doesn’t let sentiment get in the way of truth. The downside though is if the facts are off or downright incorrect, the analyst will belligerently defend an untruth. Thankfully, if you can cite references to where the analysts facts are incorrect, they will reevaluate, taking the new facts into consideration. It’s not that they’re pigheaded, it’s just their opinions depend on the validity of the source. You and Dad both fall into this category. I valued Dad’s balance–he was not easily inflamed and you are the same way. I also know that you work hard to confirm the facts you belligerently defend (and that you are pretty affable in your belligerence). Sometimes I think I have no mind. Just when I make a decision, or realize something I should do, up jumps all sorts of exciting adventures I could, but don’t get into. I go to bed with problems and, like getting the tangles out of a necklace chain, my brain presents me with a solution in the morning. I don’t see how it’s connected to my brain, but I am a master of procrastination. I circle around a problem for days, then tackle it all at once. I wish I was smarter, but I love figuring out how to connect the dots in my paint-by-numbers life. You are wise Sue. Smart too, but wise is a deeper kind of smart, one that a mind has to go after and practice. Excellent post. I am most definitely of the pin-ball variety when writing my books. But I probably switch to being a bit of a prickly barnacle when I rant on my blog. Enjoyed this, thanks. The pin-ball mind has to be the most entertaining. Thanks for the comment Pat. what good is thinking, anyway? I’ll let you know when I think of it. You are currently reading The space between your ears. at Slow Dance Journal Blog.